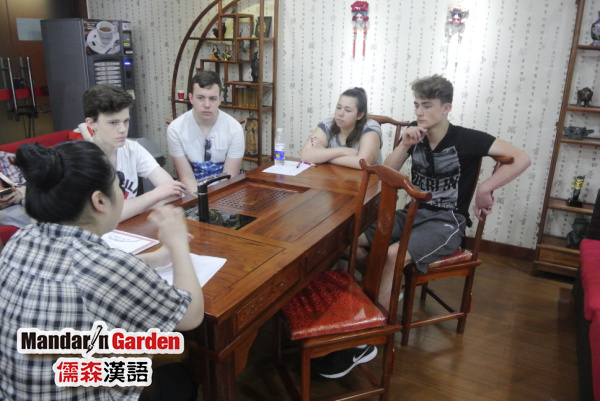 On 22nd ,July, Mandarin Garden,ushering in a group of distinguished guests from the UK.They are high school students and would have a 3-day tour in Shanghai and learn practical Chinese with joy. In Puxi center of Mandarin Garden,students from the UK are divided into three classes to learn Chinese as the primary, the junior and the senior.On the morning of 24th,the teacher helps students read the remember the Chinese words through pictures,including food,season and animals at the primary class;Meanwhile,at the junior class,teacher was practicing the basic Chinese conversation with students regarding the hotel check-in and airport ticket-buying in the way of role-play;While at the senior class,students were talking with the teacher about the Chinese history from Qin dynasty.It is surprised of teachers to know their solid grounding in Chinese language. Before leaving Shanghai,Diana,from Mandarin Garden,had a short interview with some students. 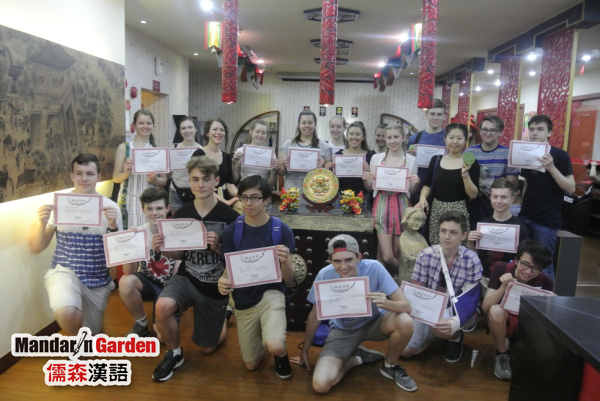 When talking about the 3-day trip in Shanghai,students spoke highly of the services offered by Mandarin Garden including the guidance and the accommodation.They also liked the Chinese culture activities organized by Mandarin Garden very much and wished to experienced more ancient Chinese art in the future.While answering the question why they chose Chinese from other languages to be their second language,students were excited to tell their own story about Chinese.From their stories,it’s known that the number of people who learned Chinese is much smaller,compared with the number of people who learn French or Spanish in the UK,and thus,learning Chinese becomes the coolest thing that make the learners stand out from the peer,furthermore,learning Chinese also give students a sight of differences between the western and eastern culture.After the 3-day tour in Shanghai,they have got more interested in Chinese learning and Chinese culture and they are very willing to select China as their destination of the gap year,and Mandarin Garden will be their first option for learning Chinese as well. Their journey to China will end soon,but their journey of learning Chinese will never end. Prev: How does a foreigner like Mandarin Garden ?